MISBEHAVE is a brand that you should definitely know! It was founded in Poland as a DIY t-shirt line. After a few collections, MISBHV grew into a global brand worn by stars such as Rihanna and Cara Delevingne. Misbehave captures a certain kind of rugged energy. Even their dresses are anything but girly. It’s rough, it’s rock ‘n roll-ish. I have no idea how I got to know this brand but anything vintage streetstyle-ish will catch my attention. If you are a die-hard-model-off-duty-outfits fan, you might have come across the ‘Team Paris’ or the ‘Nasty’ sweater (which is on my wishlist!). 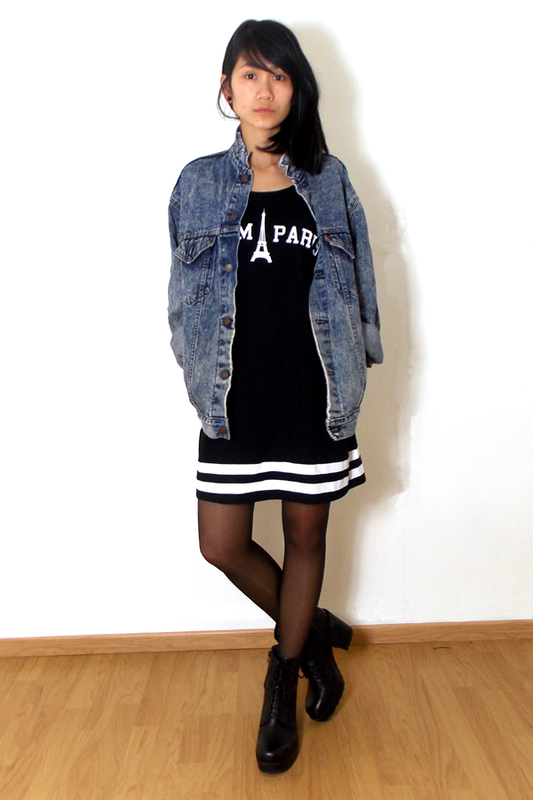 Well, the misbhv piece of clothing I am wearing, is the dress version of the ‘Team Paris’ sweater. The dress gives off a baseball vibe. It was on sale and basically a no brainer to buy it. 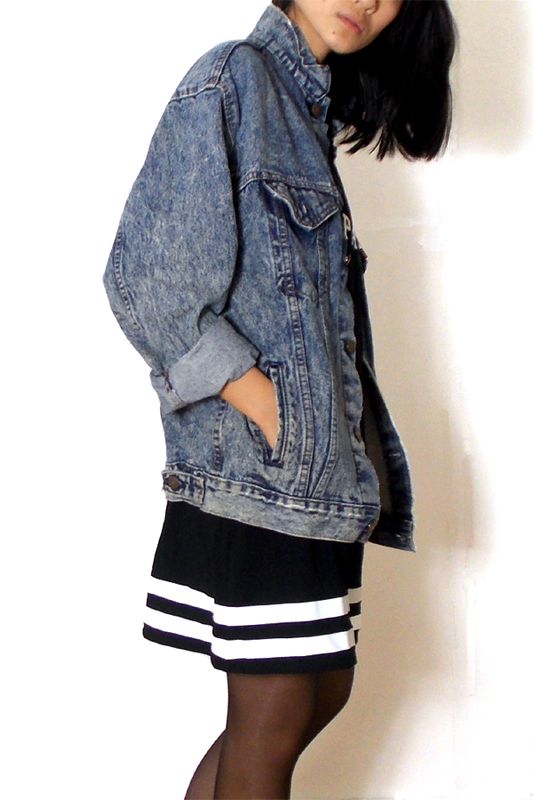 Paired it with my oversized vintage Levi’s jacket and I’ve got myself an outfit to wear when the sun is out! I have to check them out. The dress design is clean and very modern. One of my favorite styles! Love this look, especially the jean jacket! u r the pretty woman ! this is awesome. i love how you’ve paired the dress with a denim jacket. Totally in love with this dress! Great find! beautiful dress sweetie :)New post up on my blog! Check it out! Thanks for your comment on my blog! Would you want to follow each other? Follow me, and I will follow you right back. I have the Team Paris sweater and it’s one of my favourite pieces. Love your dress and your rad Vagabond boots! Such a pretty look, and I love your shoes!